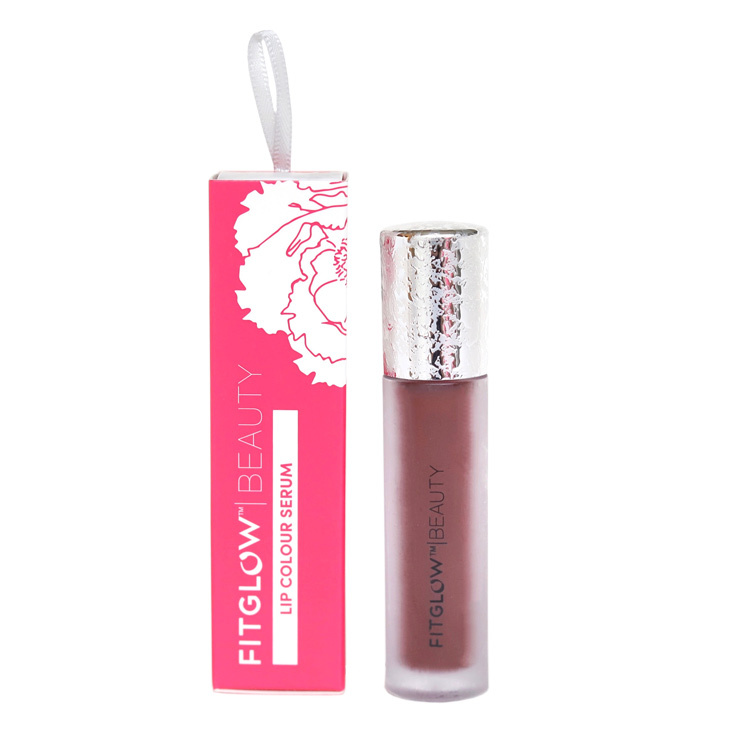 Fitglow Beauty Lip Colour Serum offers beautiful color, the feeling of lush moisture, and a plump looking a pucker in one convenient tube. 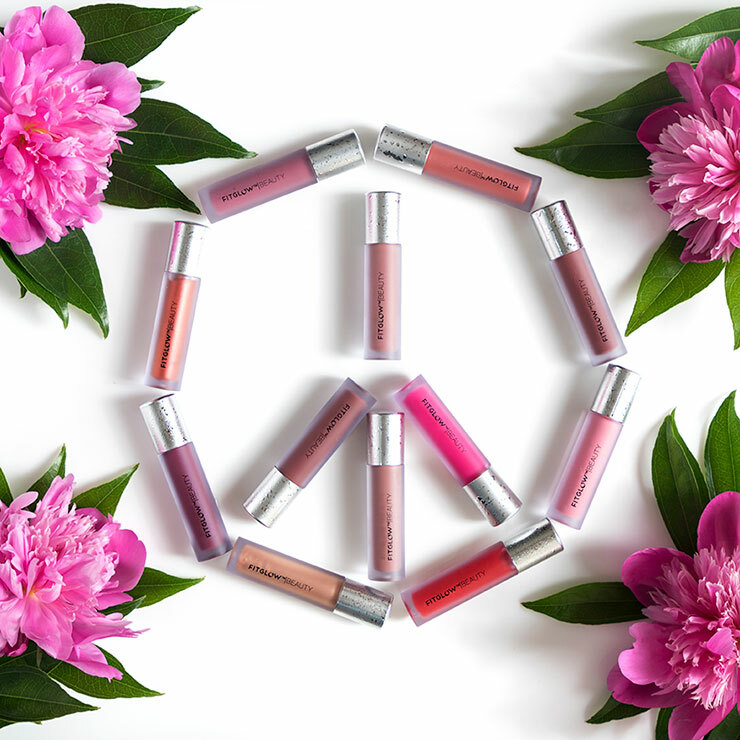 Organic Pomegranate Plant Sterols, Beet Extract, Vegan Collagen, and antioxidants keep delicate lips feeling healthy, while diminishing the appearance of fine lines. Lips are left looking soft and full. Apply on clean lips. These gorgeous color serums may be worn alone or over lipstick. Butyrospermum Parkii (Shea Butter)*, Cocos Nucifera (Coconut) Oil*, Helianthus Annus (Sunflower) Seed Oil*, Ricinus Communis (Castor) Seed Oil*, Vegetable Collagen, Copernicia Cerifera (Carnauba) Wax, Punica Granatum (Pomegranate), Sterols Beta Vulgaris Rubra (Beet Root) Cera Alba (Beeswax)*, Theobroma Cacao (Cocoa) Seed Butter*, Curcuma Longa (Turmeric) Root Powder, Helianthus Annuus (Sunflower) Seed Oil & Lecithin & Yeast Extract (Organic Plump)*, Tocopherol Acetate (Vitamin E) Sorbic Acid, Vanilla Extract May Contain: Titanium Dioxide (CI77891), Iron Oxides (CI77499), (CI77492), (CI77491). I’ve been sampling lipsticks for months trying to find the perfect color for my lips. Little did I know I was looking in the wrong place! These glosses are FABULOUS! They are shiny but not super glossy. Not sticky. Not slippery. Enough color (at least in Nudie) that I don’t feel like I need to keep looking for the right lipstick. The color stays put for a decent amount of time (not through eating). I like that I can reapply without a mirror. I have Nudie and Bliss and am holding myself back from buying more. 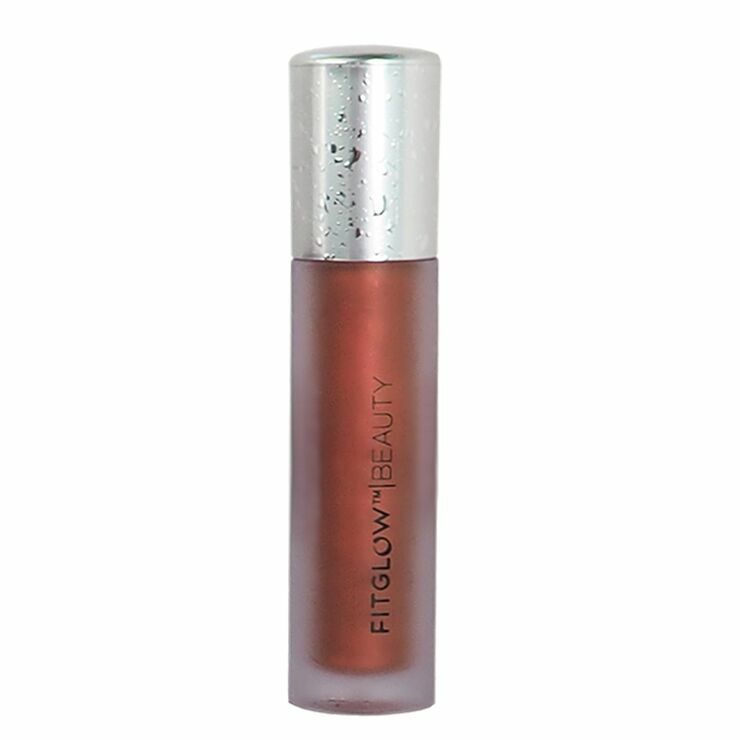 The price tag is a lofty but this gloss is really a winner. 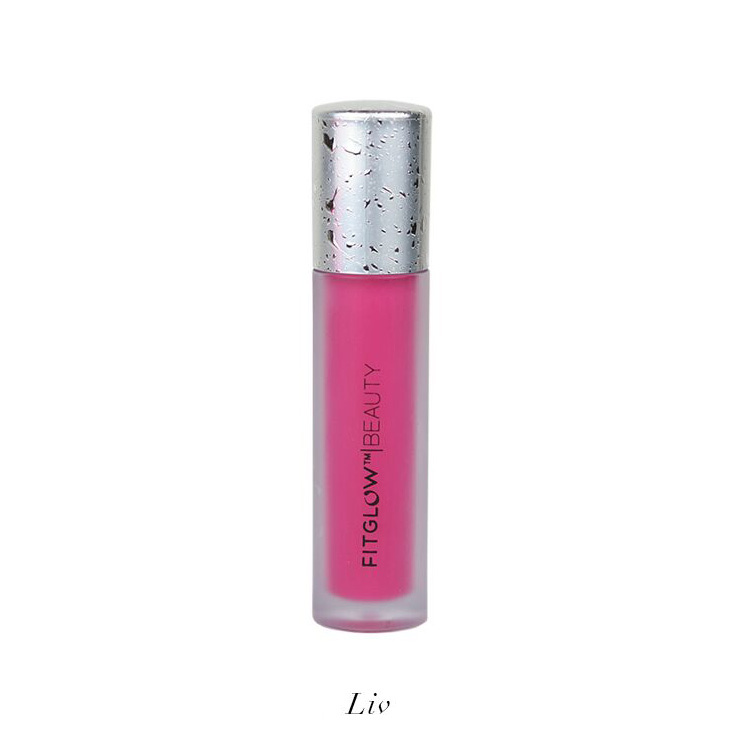 I picked up the Fitglow make-up box since I have wanted to try this lip serum for a while. I ended up with Go. It's a pretty light pink that is more like a slight gloss than a real color. I can use it to freshen up my face or even just to keep my lips moist. I would like to try a more pigmented color. I like this serum. It feels soothing and moisturizing. The scent reminds me of another lip gloss that I have and it's pleasant without being cloying. It reminds me of cake batter. 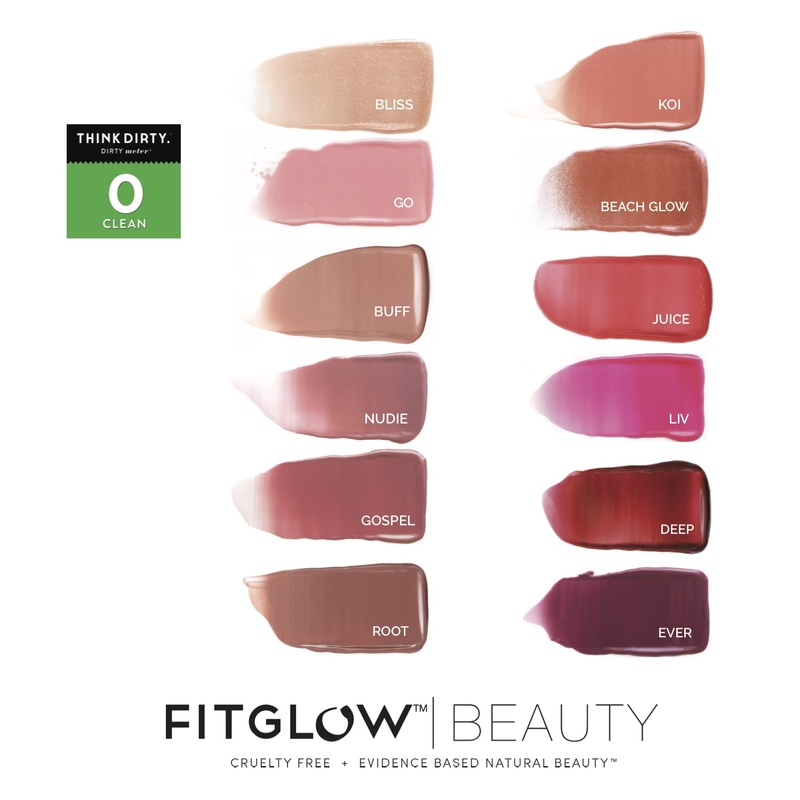 I initially wrote these off as just being expensive lip glosses, but decided to give them a try with the Fitglow makeup box. I received the color 'Gospel'. The packaging is cute and easy to open and the frosted glass makes it feel like luxury item. 'Gospel' is almost a match for my lips, just slightly more red. The texture is silky and not tacky (thankfully) and the scent is a mix of vanilla and mint. Normally I prefer unscented lip products but this isn't overpowering in any way. I notice a tingly sensation just after applying and it lasts for at least ten minutes. It isn't uncomfortable, like a burning sensation from cinnamon or salt, but a nice 'it's working' kind of feeling. I was amazed and still am at how it actually plumps up my lips. I don't have any other lip product that does that. It doesn't make my lips look big, just full and moisturized. The value in the makeup box was phenomenal, but with the Beauty Heroes discount in the store I can still justify the price as it can replace both a lipstick and a lip balm. I loved the first one so much I splurged and bought a second in 'Go'. I think I like the color of this one even better, it's a soft baby pink that makes my face look fresh. The scent on this is even sweeter and more lovely than the first. I intend to restock with these as I use up other lip products. I won't say I'm a lip gloss girl just yet, but I've fallen in love with these lip serums.